Global sensor manufacturer SICK has combined its technology-leading expertise in laser scanning and machinery safety to develop a next-level outdoor collision and detection warning system which achieves up to 80m-wide, 270o field of view with high levels of reliability. 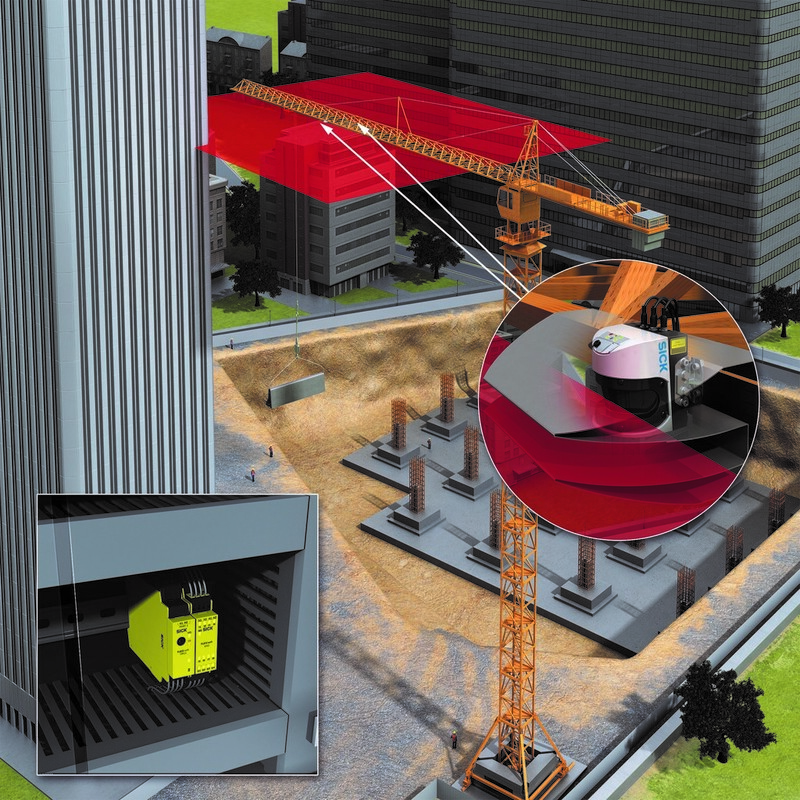 The SICK AOS Prime prevents collisions between moving and fixed objects such as gantry cranes, crane booms, stackers and side-loaders, road, airport and rail vehicles, including intrusions of personnel or other vehicles into danger areas. 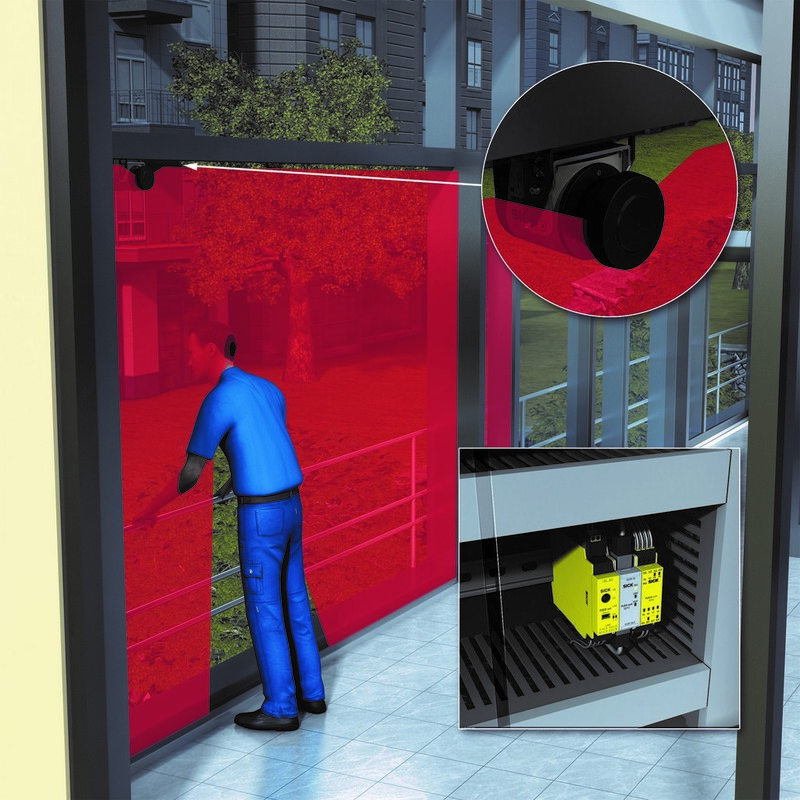 The system combines SICK’s LMS laser scanner and the modular SICK Flexi Soft controller to deliver highly reliable object detection in critical outdoor applications, with sensor self-monitoring to avoid system failures. The SICK AOS Prime comprises one or two IP67-rated LMS outdoor laser scanners connected to a SICK Flexi Soft control module and Flexi Soft I/O module. More scanners can be attached via modular I/O connectors. The AOS Prime 501 to 504 systems have a range of up to 80 metres, while the AOS Prime 101 to 104 systems offer protection up to 20 metres. In addition, there are special systems for crane boom anti-collision and pathway/cross travel protection, where SICK has extensive experience.